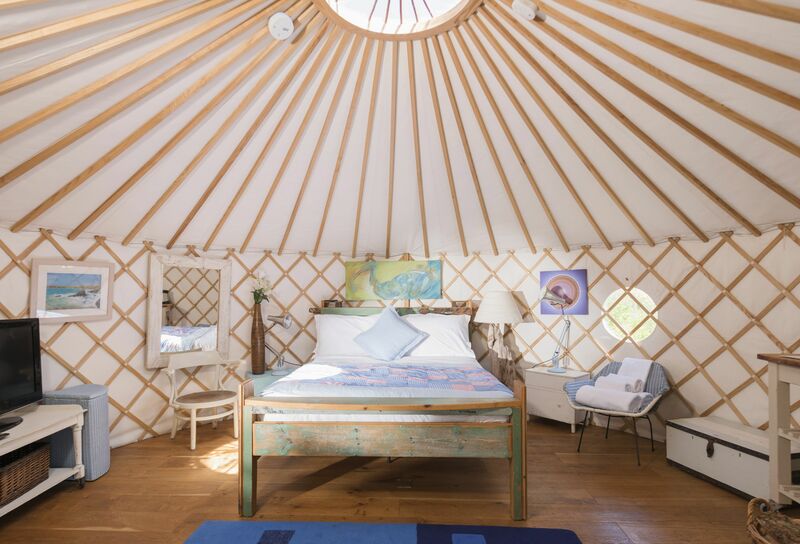 The two Yurts, Brae and Boscowen (sleep 2+baby), each have one double bed and space for a cot which can be provided. 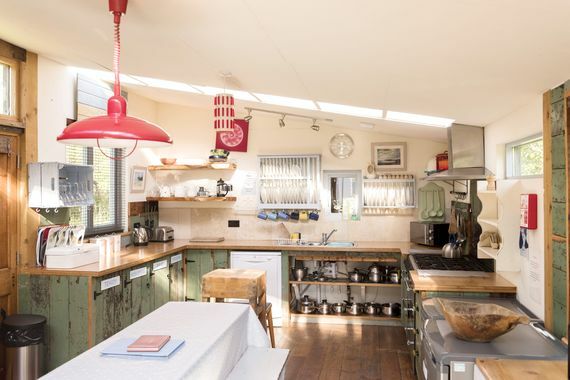 All urts have a wood burning stove, a Freeview TV, a compact dining table and chairs, a kettle and a fridge with a freezer compartment. They all have handpicked, rustic furnishings for storage and homely touches including rugs, lamps, pictures and mirrors. 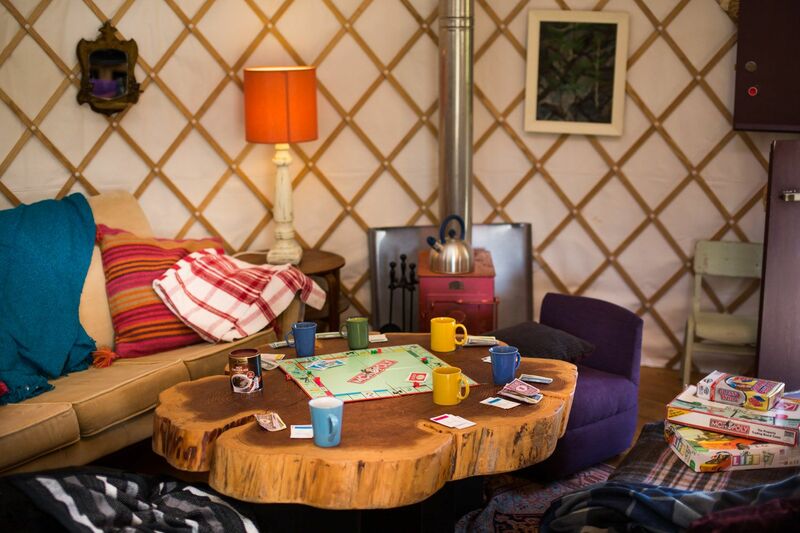 The Village Cookhouse is a fully equipped kitchen and dining area with lockable food cupboards for each yurt. 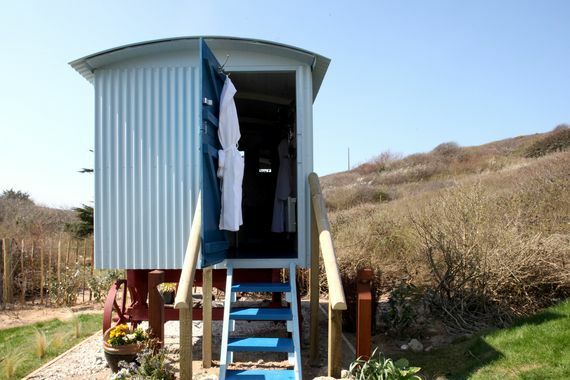 The toilets and showers are in shepherd’s huts close by. 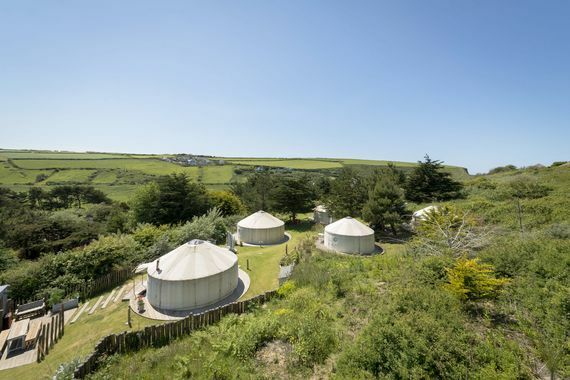 The Park could hardly be better placed for a family holiday to Cornwall, just a short walk from the stunning sandy beach at Mawgan Porth, almost mid-way between the surfer capital of Newquay and foodie mecca of Padstow. Mawgan Porth bay alone was listed among the best holiday beaches in the world by the Sunday Times, with a glorious expanse of sand for children to play and superb surfing, especially for beginners. Lessons are available for all ages at Surf King or children can just have fun in the shallows on body boards, get busy with a bucket and spade in the sand, peer into rockpools and explore caves in the crags. The Atlantic breakers are mesmerising to watch but need to be treated with caution and RNLI lifeguards watch over the beach between April and September. The beach is perfect for picnics and families can pick up provisions at the Cornish deli and minimarket in the village as well as pasties, ice creams and seaside toys from Betty’s newsagents. Alternatively, ‘Off the Beach’ is a cafe bar and restaurant, just off the sands and there is also a fish and chop shop in the village and a good pub with great views from a large garden. A little further into the village Bre Pen Farm Shop sells local and homemade produce, with a cafe that doubles as an evening Bistro at weekends. Mawgan Porth is on the North Cornwall Coast Path and by heading out for just few miles, families can not only take in the spectacular scenery but also arrive at the famous Watergate Bay and Jamie Oliver’s ‘Fifteen’. The UK surfer capital of Newquay is just a little further along (approximately 5 miles from The Park), well known as a seaside party town and with family attractions including the Marine Aquarium and Zoo. Around 20 minutes drive in the opposite direction, the harbour town of Padstow, (or is that Padstein!) has foodies flocking in for the fresh caught fish and seafood at Ricks Stein’s establishments. Nowhere is very far away in Cornwall and the unique highlight of The Eden Project is only 45minutes from The Park. Another fun family day out is Dairyland Farmworld, with friendly animals to feed, pony rides and hay bale rides, trampolines and the massive Bull Pen indoor play barn. Nearest medical services: GP in St Colomb; Minor Injuries Unit in Newquay; A&E at Royal Cornwall Hospital in Truro. 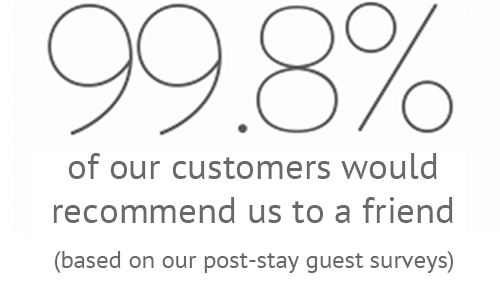 Mawgan Porth is a short walk away. Indoor and outdoor pools with key pad entry. Play yurt with variety of indoor and outdoor toys . A visiting spa therapist can be organsied. Stove in the lounge area.